As we are hitting crunch time at the Legislature, with four days left, we have been busy working to address all 2018 priority bills. My priority bill, LB 1040 – Provide for commemorative certificates of nonviable birth, successfully passed Select File Friday with a 33-3 vote. I am thankful for my fellow senators voting to give grieving mothers and families recognition for their pregnancy losses. On Tuesday, April 3, the Legislature debated LB 947, Adopt the Nebraska Property Tax Cuts and Opportunities Act, change income tax rates, and eliminate certain exemptions and credits, which was introduced by Senator Smith on behalf of Governor Ricketts. This is one of three bills introduced to address property tax relief this year, in addition to one from last session. LB 947 is the Revenue Committee’s compromise for property tax relief and I have confidence in their judgments on the subject. As a farmer this bill is not perfect and it is hard for all of us to swallow, but I am optimistic that we are on the right track and hope we can build on tax reform in the future. I am dedicated to fighting for tax relief and coming to a compromise that benefits all Nebraskans. On Wednesday, Business and Labor’s priority bill LB 791, (Ebke) Change Nebraska State Patrol employees’ bargaining rights, was heard on the floor. LB 791 makes changes to the State Employees Collective Bargaining Act regarding the Nebraska State Patrol (NSP) to eliminate certain conflicts of interest and to provide for accountability and transparency in NSP investigations. Specifically, LB 791 removes NSP sergeants from the collective bargaining unit and places them in the supervisors unit. LB 791 also removes disciplinary and investigative procedures of the NSP from the scope of collective bargaining. My staff and I have been working diligently to craft an amendment that addresses involved parties’ concerns. On Monday we hope to bring the bill with amendments back to the floor for a healthy debate and hope to advance it to Select File. Wednesday we also debated my bill LB 953, Change provisions under the Nebraska Workers’ Compensation Act and the Employee Classification Act, which was also chosen as a Business and Labor priority bill. LB 953 requires the Workers’ Compensation Court to approve a lump-sum settlement in cases in which the employee at the time of settlement is eligible for Medicare or has a reasonable expectation of becoming eligible for Medicare within 30 months. A lump-sum settlement may also be approved if medical expenses incurred for treatment of the injury will not be fully paid as part of the settlement, if the employee’s attorney affirms that the settlement is in conformity with the compensation schedule, and for the best interests of the employee or his or her dependents. LB 953 also addresses a recent Workers’ Compensation Court’s decision regarding the enforceability of late payment penalties. Business and Labor’s amendment AM 1779 addresses concerns brought by the Nebraska Medical Association and Nebraska Hospital Association and was adopted onto the bill. I allowed Senator Vargas to amend his bill, LB 784 Change the Employee Classification Act to prohibit contractors with unpaid fines from contracting with the state or political subdivisions, through AM 2762 on to LB 953. LB 784 passed out of Business and Labor Committee with a 7/0 vote and is intended to strengthen existing Nebraska law that imposes penalties on contractors and employers who misclassify employees as independent contractors. Additionally, under 784, contractors or employers with unpaid fines for violating the Employee Classification Act would be barred from entering into contracts with the state or any other political subdivision until the fines are paid. LB 953, as amended, advanced to Select File with a 29/1 vote. Senator Schumacher, the sole “no” vote will be offering a friendly amendment Monday to address his concerns, I am confident this amendment and LB 953 will advance to Final Reading easily. During debate on Friday of LB 1103, (Friesen) Provide a minimum amount of state aid for each school district, Senator Briese attempted to amend his property tax relief bill, LB 1084 Adopt the Property Tax Request Limitation Act, provide sunset dates for certain tax exemptions and incentives, and change other revenue and taxation provisions, to be included in LB 1103. This brought another long and passionate debate to the floor about property taxes and the dire need to do something to address the skyrocketing costs that are being forced on to land and homeowners. While I support LB 947 over LB 1084, I appreciate senators continuing to bring a discussion to the table about property taxes. On Friday, Speaker Scheer spoke on the floor about his dissatisfaction with the Legislature’s inability to reach a compromise on tax relief this session. He mandated that the senators who had brought property tax reform packages and had been involved in crafting the legislation, Senator Smith, Senator Briese, Senator Groene, Senator Harr, Senator Friesen, and Senator Erdman, meet Friday evening and throughout the weekend to work on a compromise for property tax relief. I admire Speaker Scheer for taking initiative in working towards a property tax solution. It was evident that the senators involved could not come to a collective solution and it does not look like a tax relief bill will advance this year unfortunately. We had such an exciting week at the Legislature. We had many long, but worthwhile, nights and accomplished a lot. I was ecstatic to spend this Easter weekend with my family and hope that everyone enjoyed their Easter with loved ones as well. On Tuesday, March 27th, the Business and Labor Committee approved amendments for Senator Ebke’s LB 791, Change Nebraska State Patrol employees’ bargaining rights, and voted to advance the bill to General File for debate. LB 791 is a bill to provide transparency and accountability in law enforcement and was chosen to be a Business and Labor Committee Priority Bill. It is expected that we will debate the bill early next week. My 2018 Priority Bill, LB 1040 Provide for certificates of nonviable birth, was debated on the floor Tuesday and Wednesday nights. 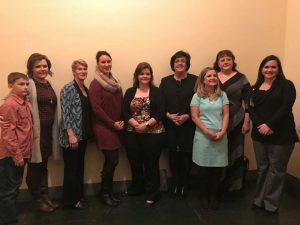 LB 1040 is a bill to help grieving families by creating an optional, commemorative certificate for mothers who lose a pregnancy prior to 20 weeks gestation. Following in the footsteps of Florida, this certificate allows mothers to acknowledge their loss by receiving an authentic certificate from the Department of Health and Human Services, something the Department already does for pregnancies that are lost at or after 20 weeks. This certificate has no legal standing and is simply a commemorative certificate of nonviable birth to help mothers and families through the healing process after experiencing a pregnancy loss. During debate, Senators Geist, Brasch, and Thibodeau bravely shared their stories of or experiences with pregnancy loss and I cannot thank them enough. I am proud that the bill passed General File with a 36 – 1 vote and advanced to Select File. I am thankful to have a part in helping women and families gain validation and recognition for their losses. After multiple days of debate, the budget bill LB 944 finally passed Select File Wednesday night. Senators had been working around the clock to craft an amendment that would address concerns some senators had brought up during debate. The amendment slightly adjusted language in the original budget regarding Title X, pulling language from federal law and other states to ensure that women will not lose access to health care, while ensuring that no funds are used for abortion services. While Title X funds have always been intended to be kept separate and distinct from abortion-related activities, this new provision will provide accountability and ensure that this is the case. I am proud that Nebraska continued to prove that we are a pro-life state, and that we were able to pass a budget that addresses the current revenue shortfall we are facing. Thursday morning, March 29th, Senator Brasch motioned to place her priority bill, LB 1069 Change provisions related to the Committee on Americanism, on to General File. Typically, bills are voted on by committee members and then moved to General File for debate in the full Legislature. Sometimes when a bill does not have support to come out of committee, senators may motion to have the bill pulled on the floor if they believe that the bill deserves to have a full debate on the legislative floor. LB 1069 requires that the committee on Americanism hold no fewer than three public meetings annually and ensure social studies curriculum adequately stresses American values that give students the opportunity to become competent, responsible, patriotic, and civil citizens. I supported LB 1069 and Senator Brasch’s motion to move the bill to General File, her motion prevailed and we expect to debate the bill next week. The budget bills, LB 944, LB 945, and LB 946 were debated again on Select File on Wednesday, March 21st. While LB 945 and LB 946 passed on to Final Reading, the budget discussion was focused again on LB 944 and mostly debate on Title X. Title X is a federal grant program that provides funds to the Department of Health and Human Services to be distributed among clinics to provide family planning and preventative health services. Governor Ricketts included language in his budget proposal that mandates no “funds disbursed under such program shall be paid or granted to an organization that performs, assists with the performance of, provides directive counseling in favor of, or refers for abortion.” Title X funds have always been intended to be kept separate and distinct from abortion-related activities, this new provision will provide accountability and ensure that this is the case. Senators Wishart and Pansing Brooks offered amendments to edit or remove Title X language form the budget, many of my fellow senators and I do not support either amendment. The University of Nebraska’s budget was also discussed after Senator Erdman offered an unsuccessful amendment that would cut their state funding an additional $17.3 million. I did not support this provision, but I am in favor of the University of Nebraska system looking into making further cuts in the administration in order to tighten their budgets just as the rest of the state has done. When a cloture motion was presented to end debate on LB 944, it fell just short of the needed 33 votes at 30 “Yes” votes. When a bill is being filibustered, a cloture motion is needed to end debate. If a cloture motion is successful, senators move on to give the actual bill an up or down vote, if a cloture motion is not successful debate may continue immediately after or on a different date. Late Thursday night we began debate on LB 295, Adopt the Opportunity Scholarships Act and provide tax credits. This bill would provide for a 75% tax credit for every dollar donated to a private-school scholarship granting organization. Participating schools must be accredited by the state and follow nondiscrimination requirements of Title VI of the Civil Rights Act. This bill will encourage private donations to scholarship funds that assist low-income students to attend a private school that best fits his or her needs. In 2017, over 600 students were denied scholarships in Nebraska due to lack of funds, this bill encourages donations to prevent children from being unable to afford a school that best suits them. It is a common myth that this will pull funds from public schools, but this argument is false. LB 295 will help steer private, not public, funds to assist private school students. Similar laws are currently implemented in 18 states, including Iowa, Kansas, South Dakota, and Oklahoma, in which more than 250,000 students have received assistance and the public schools continue to flourish. I was disappointed that Senator Harr motioned to indefinitely postpone LB 295 without giving the bill the opportunity to be introduced for a fair debate, luckily we voted the motion down and were able to begin debate over Thursday night and Friday morning. I am in strong support of LB 295 and supporting school choice in Nebraska. I am hopeful this bill will pass and we can start improving educational outcomes for our children. Next week, we expect to debate the budget further and begin debate on Governor Ricketts’ tax plan, LB 947. 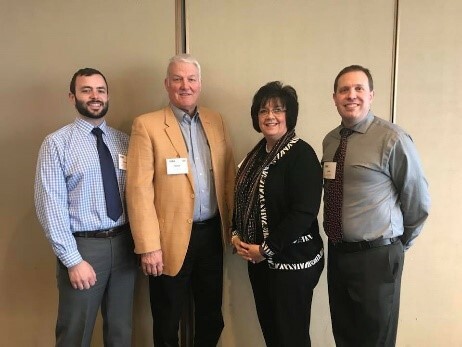 The Nebraska Farm Bureau recently endorsed the Governor’s plan which would provide home and agricultural land owners with new refundable tax credits that would be phased in over 12 years. I look forward to debate and coming to an agreement that will benefit all Nebraskans. With recess days on Friday and Monday, I am excited to spend another four day weekend in the district. I had the pleasure of participating in the Wayne Legislative and Government Affairs 27th Annual Forum on Friday, as well as meeting with Pender Community Schools’ leaders. I look forward to attending more events over the weekend and on Monday. This week we began the long process of debating the budget. The Legislature’s Appropriations Committee advanced three budget bills, containing modifications to Governor Ricketts’ proposed mid-biennium budget adjustments to the 2017-2019 biennium. Due to the near $175 million revenue shortfall, we are faced with having to make tough across-the-board budget cuts again this year. On Tuesday, March 13th, we discussed three bills that appropriate funds in the state budget, starting with LB 945 and LB 946, then ended the day with a controversial debate on LB 944. LB 945, as amended by the Appropriations Committee, contains the Appropriations Committee’s recommendations to fund transfers, the creation of funds, and use of funds. Senator Krist offered an amendment that increased transfers from the Charitable Gaming Operations Fund to the Compulsive Gamblers Assistance Fund from $50,000 to $100,000, which passed narrowly. LB 946, as amended by the Appropriations Committee, transfers $100 million from the Cash Reserve Fund (commonly referred to as the “Rainy Day Fund”) to the General Fund (which acts as the state’s checking account) to supplement the budget in addressing the revenue shortfall. Both LB 945 and LB 946 passed without much opposition. LB 944, as amended by the Appropriations Committee, makes adjustments to appropriations and re-appropriations for state operations, makes adjustments to aid and construction programs, provides for fund transfers, and designates accompanying appropriations approved last year by the Legislature. While this bill contains many provisions, the debate on Tuesday was dominated by Title X funding language. Title X is a federal grant program, fueled by your federal tax dollars, that provides funds to the Department of Health and Human Services to be distributed among clinics to provide family planning and preventative health services. Governor Ricketts added language in his budget proposal that mandates no “funds disbursed under such program shall be paid or granted to an organization that performs, assists with the performance of, provides directive counseling in favor of, or refers for abortion.” Title X funds have always been intended to be kept separate and distinct from abortion-related activities, this new provision will provide accountability and ensure that this is the case. This gives organizations that currently provide abortion-related services the option to physically, legally, and financially separate its abortion-related activities from its Title X services, or completely stop its abortion-related activities and remain a clinic providing Title X family planning and preventative health services that receives Title X funding. It is a common myth that some clinics will lose funding due to this new budget provision, this is a false statement as clinics that do not aid in or perform abortion will not be affected and communities will not lose access to affordable health care. This measure is put in place to enforce an existing law that requires that no taxpayer money is used for abortion. Should an organization decide not to comply with current and new laws, they have made a calculated decision to refuse to separate their abortion activity from their Title X activity, therefore voluntarily cutting themselves out of the program. I am strongly in support of maintaining this language in the budget and ensuring that tax dollars do not go to abortion-related services. It is essential that as a Pro-Life state we continue to protect life from conception. After hours of debate going late into the evening, LB 944 passed 38/4 (6 senators not voting) with the expectation that we will be discussing amendments and additional budget topics, such as university system budget cuts, on Select File. On Wednesday we had another long day of debate on Senator Pansing Brooks’ LB 157, Change provisions relating to appointment of counsel for juveniles. This bill would require attorneys for all juvenile offenders across the state. LB 157 failed to receive the needed 33 votes to invoke cloture to stop a filibuster of the bill. I did not support the cloture motion as I believe this bill would put an unfair mandate on rural communities and families to pay for the attorney fees. On Wednesday, the Natural Resources Committee held a special hearing for Amendment 2191 to LB 822. LB 822 is a bill to clean up language in statute that relates to the Department of Natural Resources. AM 2191, introduced by Senator Hughes, adds language to exempt the public power industry from being required to disclose proprietary or commercial information which if released would give an advantage to business competitors. Nebraska is in a unique situation because we are the only state in which all electrical producers are publically owned, rather than sold by private companies. Private companies are still able to sell power in Nebraska, meaning public power districts must operate as a business and remain competitive in the market. Because of this, a recent court decision on a public records’ request ordered the Nebraska Public Power District (NPPD) to release proprietary cost information that would hurt NPPD’s ability to stay competitive against other power companies. Following the hearing, fellow committee members and I decided on a final amendment, AM 2292, that clarifies that only competitive information would be eligible for exemption from public records requests. LB 822 with AM 2292 was amended into LB 1008, which is one of Natural Resource’s priority bills. I supported both amendments and allowing NPPD and other public power districts to withhold proprietary information. This week, the budget was released by the Revenue Committee. This year we will be addressing another budget shortfall, totaling over $120 million, resulting in across-the-board cuts to departments. We will start debate on Tuesday, March 13th, and it is expected to bring disagreements among senators. Some issues to pay attention to are cuts to higher education and Title X provisions that would ensure that abortion providers do not receive federal family-planning funds. I unquestionably support passing provisions in the budget that cut Title X funds to abortion providers and will vote in support of that provision. I am looking forward to hearing debate on the many other provisions of the bill and making the best decision for Nebraskans while maintaining a balanced budget. As the budget currently stands, the proposal would leave lawmakers with a little over $500,000 to spend on new proposals, meaning it would be near impossible to pass legislation this session with a fiscal note. Once we debate and pass a budget, the Legislature will send the bill to Governor Ricketts who has the ability to approve or line item veto provisions of the bill. The Legislature may vote to sustain or override any of the Governor’s vetoes before the budget is finalized. The detailed budget book is available at https://nebraskalegislature.gov/ and can be found under “Recent Legislative Information”. With another four day weekend, I am ecstatic to spend more time back home in District 17. I am hoping to have some great conversations at fish fries across the district. I am always happy to talk to constituents and appreciate when those who see me say hi and ask questions. On March 1st we celebrated Nebraska’s 151st birthday! In 1867, after persevering through two presidential vetoes in statehood bids, President Andrew Johnson signed the statehood proclamation on March 1st making Nebraska the 37th state. I am proud that Nebraska has grown into the best state to live, work, and raise a family. 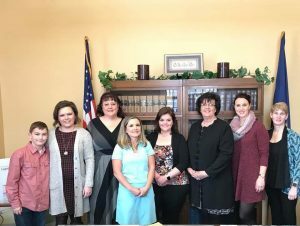 The first bill we heard at the Legislature on Monday was Senator Howard’s priority, LB 931 Provide requirements for opiate and controlled substance prescriptions. This legislation creates a seven-day duration cap on a prescription for an opioid issued to a person under the age of 18. Senator Howard lost her sister to an opioid overdose in 2009 after being prescribed pain pills, and law enforcement agencies in the state have opened investigations into prescribing practices recently. It is imperative that Nebraska continues to peruse avenues to combat opioid addiction, I believe this is a step in the right direction. I appreciate the courage of Senator Howard to tell the story of the struggles her family faced with the opioid epidemic and hope that we can continue taking steps to eliminate opioid overdose deaths. With committee hearings completed, we began our first day of full debate on the floor Wednesday. Going forward, each legislative day will typically go until around 5:00 pm, allowing us more time to continuously debate bills. A few bills coming up in the next week will be sure to bring a lively debate to the Unicameral. Senator Watermeier’s 2018 priority LB 44, Adopt the Remote Sellers Sales Tax Collection Act, would require remote sellers (online retailers without a physical presence in Nebraska) to collect and remit sales tax under certain conditions. 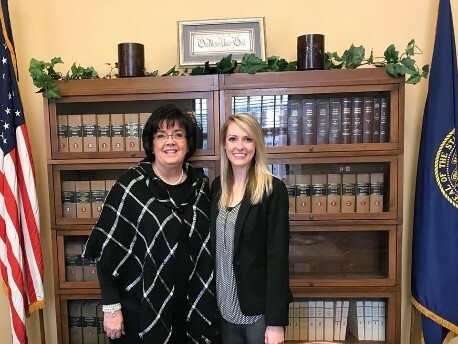 Senator Watermeier introduced LB 44 last year in an effort to collect sale taxes from online retailers, such as Amazon, but the bill faced opposition for being unconstitutional – a claim that was confirmed in an opinion issued by the Attorney General’s office. Senator Watermeier introduced an amendment, AM 1822, to address concerns, but I expect there will still be fierce debate on the floor. I did not support LB 44 last year, but with the new amendment I plan on listening to floor debate and most likely supporting the bill. LB 776, Senator McCollister’s priority bill, is also expected to bring contentious debate. Last week we began debating the bill which ensure that local jails do not accept or receive revenue in excess of the reasonable operating costs for establishing and administering such telephone or video conferencing service systems that provides inmates with affordable methods for communicating by telephone or video conferencing with inmates’ families and loved ones. This also includes contact with their attorneys without charge, and without monitoring or recording by the county jail or law enforcement. I do not support this bill in its original form, but am interested to hear discussion surrounding amendments that Senator McCollister will bring to the floor. One of Business and Labor Committee’s priority bills that I introduced, LB 953 Change provisions relating to lump-sum settlements under the Nebraska Workers’ Compensation Act, will also be on the agenda in the next week. LB 953 requires the Workers’ Compensation Court to approve a lump-sum settlement in cases in which the employee at the time of settlement is eligible for Medicare or has a reasonable expectation of becoming eligible for Medicare within 30 months. A lump-sum settlement may also be approved if medical expenses incurred for treatment of the injury will not be fully paid as part of the settlement, if the employee’s attorney affirms that the settlement is in conformity with the compensation schedule and for the best interests of the employee or his or her dependents, under all the circumstances. This bill aims at expediting the process of Worker’s Compensation Court cases, I am hopeful fellow senators will vote yes. I take into consideration every letter, email, and phone call my office receives when I consider legislation. I truly value your input and suggestions on the issues before the Legislature. It is of great importance that I hear from you in order to do my job. I look forward to hearing from you! Although over 500 bills were introduced in the 2018 legislative session, it is likely that only priority bills will be debated on the floor. A priority bill is a bill that has priority status and generally is considered ahead of other bills in debate. Each senator may select one priority bill, each committee may select two priority bills, and the speaker may select up to 25 priority bills. All priority designations were announced Wednesday morning, and we now have a good idea of the topics that will dominate this legislative session. Topics include property tax reform, education reform, rural broadband access, and voter ID laws. To view all priority bills please visit https://nebraskalegislature.gov/session/priority.php. I designated LB 1040, provide for certificates of nonviable birth, as my 2018 priority bill and I am happy to announce it passed out of Health and Human Services Committee with 7 “yes” votes and 0 “no” votes. LB 1040 is a bill to help grieving families by offering a commemorative birth certificate for those who suffer a pregnancy loss prior to 20 weeks gestation. Every pregnancy loss is a tragedy that has a profound impact on women and entire families, yet most go unrecognized. Any woman who has ever miscarried knows the pain and loss are real no matter the gestation. Whether a pregnancy is lost at 5 weeks, 12 weeks, 19 weeks or 20 weeks and beyond, the pain of that loss is severe and should be recognized and honored for those who wish to do so. As Chair of Business and Labor Committee, I designated LB 953 and LB 791 as the committee’s priority bills. LB 953 requires the Workers’ Compensation Court to approve a lump-sum settlement in cases in which the employee at the time of settlement is eligible for Medicare or has a reasonable expectation of becoming eligible for Medicare within 30 months. A lump-sum settlement may also be approved if medical expenses incurred for treatment of the injury will not be fully paid as part of the settlement, if the employee’s attorney affirms that the settlement is in conformity with the compensation schedule and for the best interests of the employee or his or her dependents, under all the circumstances. LB 953 also addresses a recent Workers’ Compensation Court’s decision regarding the enforceability of late payment penalties. LB 791 was introduced by Senator Ebke at the request of the Governor. LB 791 makes changes to the State Employees Collective Bargaining Act regarding the Nebraska State Patrol (NSP) to eliminate certain conflicts of interest and to provide for accountability and transparency in NSP investigations. Specifically, LB 791 removes NSP sergeants from the collective bargaining unit and places them in the supervisors unit. LB 791 also removes disciplinary and investigative procedures of the NSP from the scope of collective bargaining. This week also marked the end of most committee hearings. The Business and Labor Committee will have our last hearing on Monday; Government, Military and Veteran Affairs, Health and Human Services, Judiciary, and Revenue Committees will hold their final hearings on Tuesday. Wednesday, February 28th, will mark the first full day of floor debate for the 2018 session. Things will be moving fast and I am hopeful we will pass meaningful legislation this year. Committee hearings will be streamed live by NET at the following address: www.netnebraska.org/capitol. Live coverage of the full session of the Unicameral is also available from that page. I hope everyone was able to spend time with their loved ones this week. When tragedy strikes I am reminded how blessed I am to hug my children and grandchildren at night. We are praying for the families and friends of the 17 innocent lives lost on Wednesday, and for our leaders, parents, and communities to come together to find a solution to senseless violence. I am excited to spend the Legislature’s four day weekend in all three counties of District 17. Saturday I will be attending and speaking at the open house for the new Thurston County Jail, then I will be attending the Wayne County Republican Party’s Lincoln – Reagan Dinner. On Monday, I will be attending the 41st annual Joint Dakota City, County, and School Dinner. I enjoy taking any chance I can to talk to constituents about current events in the legislature. On Thursday I had the pleasure of introducing LB 1040 to the Health and Human Services Committee. LB1040 is a bill to help grieving families by offering commemorative birth certificate for those who suffer a pregnancy loss prior to 20 weeks gestation. Every pregnancy loss is a tragedy that has a profound impact on women and entire families, yet most go unrecognized. Any woman who has ever miscarried knows the pain and loss are real no matter the gestation. Whether a pregnancy is lost at 5 weeks, 12 weeks, 19 weeks or 20 weeks and beyond, the pain of that loss is severe and should be recognized and honored for those who wish to do so. I was honored to introduce LB 1040 with Jennifer, Laura, Marci, Jennifer, Audra and Lisa. We also received many support letters from OBGYNs and the support of the Nebraska Hospital Association. I look forward to seeing this bill come out of committee and am hopeful it will earn a “yes” vote from fellow senators on the floor. Next week, each senator and committee will have submitted their priority bills for the session. Priority Bills are placed on the agenda for debate before non-priority bills, and usually take up the remaining days of session leaving little room for other bills to be debated. Once all priority bill designations have been submitted, we will have a good idea of the subjects that will dictate session through April. To view Priority Bill designations visit: https://nebraskalegislature.gov/session/priority.php. The budget shortfall will be discussed extensively this session as well. Governor Ricketts has released his budget proposal and the Appropriations Committee has held hearings to get public input on proposed budget cuts. The economic forecasting board will release predictions on state revenue projections at the end of this month, then the proposed budget will be adjusted according to the projections. To stay updated on the budget you can visit: http://budget.nebraska.gov/index.html. The remaining Business and Labor Committee’s hearing for this legislative session will be on February 26th. The hearing will begin promptly at 1:30 p.m.
Committee hearings will be streamed live by NET at the following address: www.netnebraska.org/capitol. Live coverage of the full session of the Unicameral is also available from that page. If you would like to submit written testimony for the committee to consider and you will not be personally testifying at the hearing, it is required that you turn your written testimony in to my office, no later than 5:00 p.m. on the legislative day before the relevant hearing. Please let us know if you would like your submission to be formally on the committee’s hearing record. I want to encourage my constituents to reach out to me at 402-471-2716 or to write me at the address above. The harsh weather this week was a good reminder to all of us to be mindful and safe when driving. I hope everyone stayed warm and safe. Although we had a short week in Lincoln, due to a recess day on Friday, my staff and I were hard at work preparing for committee hearings and upcoming bills. On the floor, we had long and thoughtful debates on several bills, all but one passed on to Enrollment and Review to be advanced to Select File. We also passed bills on Final reading for the first time this session, a total of 19 bills that Governor Ricketts signed into law. Additionally, my bill LB 949, which allows the Nebraska Educational, Health, and Social Services Finance Authority to be a conduit issuer of bonds for private not-for-profit cultural institutions, passed the Banking, Commerce, and Insurance Committee to General File. I am excited to present this bill on the floor to fellow senators. 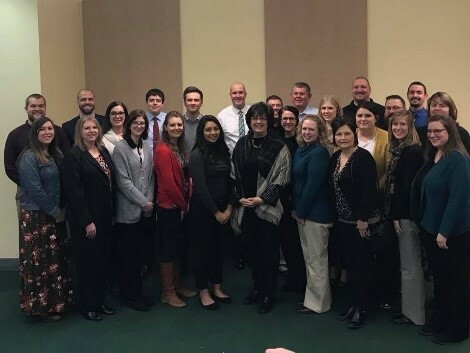 On Thursday, we were fortunate to welcome Leadership Wayne Class IX members to our office as they toured the Capitol and learned about the government and Legislature. We also welcome multiple doctors and physical therapists from District 17 to the office. I enjoy when constituents engage with state government and visit the Legislature. I am looking forward to presenting LB 1040 to the Health and Human Services Committee on February 15th. LB 1040 is a bill to help grieving families suffering from a miscarriage by giving them the option to honor and recognize their loss with a special commemorative birth certificate. The state of Nebraska currently makes birth certificates available for miscarriages that occur after 20 weeks, LB 1040 extends that courtesy to grieving families who lose a pregnancy before 20 weeks with a new type of certificate. I look forward to answering thoughtful questions from committee members and am hopeful that they will advance the bill to General File. I was informed of a great opportunity for military veteran farms to attend a free conference in March I wanted to share. Answering the Call is a free conference for military veteran farmers who are currently farming or want to begin farming. The conference is an opportunity for veterans to connect with fellow former service members who are engaged or interested in farming. Veterans can see firsthand how other veterans have translated the duty and drive of military life into a second career on the farm. Session topics include programs available to veterans interested in farming, diversified agriculture, conservation, and agritourism. A continental breakfast and lunch will be provided. Answering the Call is set for Saturday, March 24, from 9:00 a.m. to 4:30 p.m., at Central Community College in Hastings, NE. Conference attendance is free, but pre-registration is required by Friday, March 16. Register at www.cfra.org/AnsweringTheCall. For more information, contact Cora Fox at coraf@cfra.org or 402-687-2100 ext 1012. The remaining Business and Labor Committee’s hearings for this legislative session will be on February 12th, and February 26th. The hearings will begin promptly at 1:30 p.m.
Committee hearings will be streamed live by NET at the following address: http://netnebraska.org/basic-page/television/live-demand-state-government. Live coverage of the full session of the Unicameral is also available from that page.